Ben Kniffen is the co-founder and COO and President of LinkedSelling, the leader in Business-to-Business Lead Generation and a two time INC 500 company. Ben has taught hundreds of thousands of owners, entrepreneurs and business professionals the best practices for utilizing LinkedIn to generate new leads, clients and sales opportunities since 2011. Ben and his team have personally worked with over 10,000 businesses directly, either running lead generation campaigns or consulting on how to build out the best processes to utilize LinkedIn to grow their businesses. 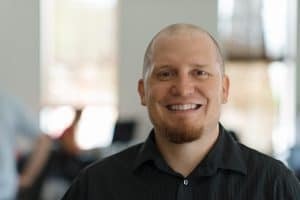 Ben has worked with Microsoft, Dell, SAS Neil Patel, GKIC, HP, Lisa Sasevich, Ryan Levesque and many others, and has been featured in Entrepreneur.com, Business 2 Community, and Salesforce among others. During Ben’s downtime he loves to hang out with his wife Erin and his two daughters Olivia and Claire, watch Cardinals baseball, and play music. Ben is also a professional musician and never passes up the opportunity to lay down the straight dope on the bass.